Over the coming months, we are going to hear much about the competing claims concerning the costs and benefits of our membership of the European Union. Almost all of this commentary is likely to consider our membership of the European Union as simply a “transactional” relationship – do we get more out of our membership of the European Union than we put in? There are, however, I think a number of other matters that we should consider which I should like to set out briefly in a personal reflection. In my last year at school, I won a speech competition and used approximately a third of my £10 prize – £3.50 – to buy the third volume of Harold Macmillan’s political memoirs, entitled “The Tides of Fortune”. I had no way of knowing, aged 18, that in my mid-20’s, I would spend many weekends at Harold Macmillan’s Sussex home – Birch Grove – when I became Research Assistant to his son, Maurice. I was fortunate during that time to have many conversations with Harold Macmillan. If I had been wiser, I would probably have a kept a diary , or at least a note of some of the things that Harold Macmillan told me. But I do recall that during the 1975 Referendum campaign, it was Harold Macmillan who encouraged a number of us who were campaigning for “Yes to Europe” to use the symbol of the poppy in one of our campaign posters. For Harold Macmillan and his generation, one of the most important aspects of the European Union, was to help prevent there ever again being war in Europe. Today, the notion of there being possible conflict between European nations sounds fanciful, but I suspect that Harold Macmillan throughout his life was very conscious that he was the only officer cadet of his intake into the Grenadier Guards to have survived the Great War and that was largely as a consequence of his having been so severely wounded that he had to be hospitalised for part of the war back in England. So this was a generation that had seen and felt at first hand the slaughter of the First World War and then had to deal with rise of Fascism and to defeat Hitler in the Second World War. And Macmillan comments that in the autumn of 1942, a few days before the Battle of Alamein, when the fate of British Armies was still in the balance, Prime Minister Churchill wrote a Minute to Eden, then Foreign Secretary of extraordinary foresight. The speeches of Winston Churchill were collated by his son, Randolph, into a number of edited volumes. The volume of Churchill’s speeches for 1947 and 1948 is entitled “Europe Unite”. It contains in full that speech at the Albert Hall in May 1947, but in numerous other speeches during the course of those two years, whether receiving a Doctorate at the University of Oslo, or a speech at an open air meeting in Amsterdam, there are many similar expressions. On 7th May 1948, the Congress of Europe met at The Hague. In that speech Churchill observed that Europe “ . . . .must be for all of us. 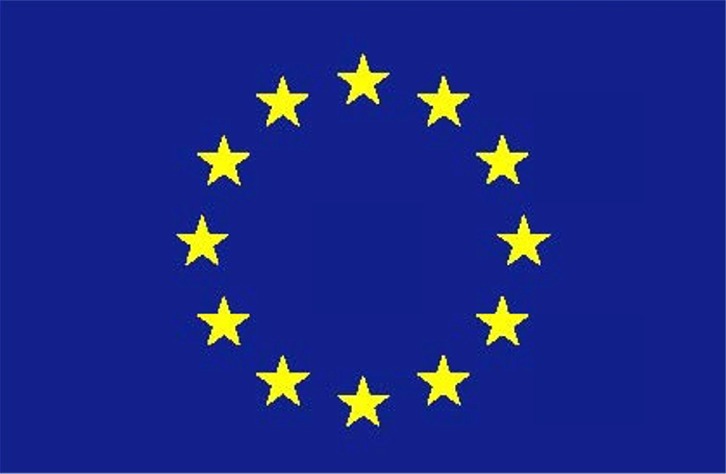 Europe can only be united by the heartfelt and vehement expression of the great majority of all the peoples in all the parties in all the freedom loving countries no matter where they dwell or how they vote . . .it is impossible to separate economic and defence from the general political structure. Mutual aid in the economic field and joint military defence must inevitably be accompanies step by step with a parallel policy of closer political unity. It is said with truth that this involves some sacrifice or merger of national sovereignty. But it is also possible and not less agreeable to regard it as the gradual assumption by all the nations concerned of that larger sovereignty which can alone protect their diverse and distinctive customs and characteristics and their national traditions, all of which under totalitarian systems, whether Nazi, Fascist or Communist, would certainly be blotted out forever. . . we seek nothing less than all Europe. Distinguished exiles from Czechoslovakia and almost all the Eastern European nations and also from Spain are present among us. We aim at the eventual participation of all European peoples whose society and way of life making all allowances for different points of view in various countries. . . and with the sincere expression of free democracy. We welcome any country where the people own the Government and not the Government the people”. My father’s generation fought the Second World War across Europe. My grandfather’s generation fought the First World War across Europe. The architects of European Union, including Churchill, saw the greater coming together of the nation states of Europe as one of the best ways of ensuring that there would never again be war in Europe and that objective has been achieved. Get out an atlas of the world, pick countries at random, and it is amazing how many countries have neighbours with whom they are hostile, with whom they have issues, or are, at the very best, are distinctly unfriendly. Some countries in the world are surrounded almost entirely by hostile or unsympathetic neighbours. We are fortunate in being surrounded entirely by countries that are good friends and partners. Of course we are free to leave the European Union if we wish. However, leaving the European Union won’t change our geography. We can’t tow Britain off into the middle of the Atlantic sea. 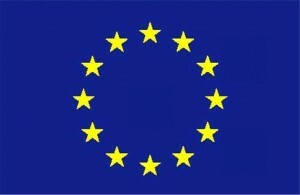 If we were to leave the European Union, we would still be surrounded by friends, but they would no longer be partners. It would be a bit like the relationship that one has with one’s former “in-laws” after an amicable divorce. There is still mutual respect and affection. You still like each other, but you are simply no longer part of the family. You no longer get invited to family events. And that is how we would find ourselves in Europe – we would no longer be part of the family. One of Aesop’s fables, if I remember correctly, concerns a man who has a number of sons and these sons, as they grow into young men, are constantly squabbling, so the father asks them each to find two reasonable size sticks, and to gather together. The father then asks each of the sons to pick up one of the sticks and to break it with their hands – which they do easily. He then asks them to put all their remaining sticks into a single bundle – which they do – and the bundle is now a bundle of six or seven sticks. He then asks each son in turn to break the bundle of sticks. Now that it is a bundle of six or seven sticks, none of them can. To which the father in Aesop’s tale makes the point to his sons that, individually, like sticks, they can be broken, but if they stand together united as a band of brothers, it is almost impossible for anyone to break them. Similarly our relationship with our friends and partners in Europe. A world of significant trade and power blocs. Not least the United States and China. A world of ever more and ever complex negotiations and treaties of multinational and global issues, such as trade arrangements, and climate change. As part of the European Union, we are part of one of the most significant political and trade blocs in the world. Outside of the European Union, we are a single nation on our own. And, incidentally, I agree with William Hague. If the result of the European Union Referendum were a chance for England to vote to leave the European Union, but Scotland votes to remain within the European Union, then I think that would almost certainly a demand from Scotland for a further Referendum on Scottish independence. I said, Mr. President, at the outset of these comments, that I would like to make some personal reflections on Europe. As everyone here knows, I was proud to be the Member of Parliament for an Oxfordshire constituency in the Conservative cause for nearly a third of a century and I think that we can be reasonably confident, from what I have said and what we know, that post-war Conservative Prime Ministers, such as Churchill, Macmillan, Ted Heath and John Major, would all campaign for Britain to remain within the European Union. During the 1975 Referendum campaign, I worked in Margaret Thatcher’s Private office. I have here in my hands the original copies of the two main speeches that Margaret made during the course of that Referendum campaign. A speech where she launched “….the Conservative campaign to keep Britain in Europe”, and a speech on the 19th May 1975, which was given in her own constituency in Barnet at the end of the Referendum campaign. That speech has in its margins Margaret’s own handwritten notes and emphasis. They are speeches which don’t appear to have been included by editors in collected volumes of Margaret’s speeches, but they are well worth reading. In launching the Conservative campaign to keep Britain in Europe, Margaret Thatcher said “it is not surprising that I, as Leader of the Conservative Party, should wish to give my whole-hearted support to this campaign for the Conservative Party has been pursuing the European vision almost as long as we have existed as a Party”. “So long as the power and advice of England are felt in the Councils of Europe, peace I believe will be maintained and maintained for a long period. And of course that is right. We are inextricably part of Europe. Neither Mr. Foot, nor Mr. Benn, nor anyone else will ever be able to “take us out of Europe” for Europe is where we are and where we have always been. Margaret went on to observe “The Community gives us peace and security in a free society, a peace and security denied to the past two generations. The Community gives us access to secure sources of food supplies. This is vital to us, a country which has to import half of what we need. And Margaret went on to observe “We can play a role in developing Europe, or we can turn our backs on the Community. “We can play a leading role in Europe, but if that leadership is not forthcoming, Europe will develop without Britain”. Indeed, I think all the points that Margaret made in her speech to launch the Conservative campaign to keep Britain in Europe in 1975 are as relevant now as they were then. In her speech in her own constituency at the end of the campaign, Margaret observed that “At a time of uncertainty in world affairs, Europe gives us a far better chance of peace and security and if we wish our children to continue to enjoy the benefits of peace, our best course of action is to stay in Europe. Those who want us to come out of the Market, would like us to insulate ourselves from the rest of Europe, and isolate ourselves from the remainder of the world. But neither the instincts nor the interests of this country are isolationist. I note with interest that a report in The Times, as recently as the 6th January this year, observed that two-thirds of the cropland that feeds Britain growing population is overseas, according to a study that reveals the UK’s rapidly declining self-sufficiency in food. The amount of foreign land needed to supply Britain with crops has grown by 44% in the last thirty years and is expected to continue growing as the population expands by 10 million over the next two decades. According to DEFRA Britain’s “self-sufficiency” in food has fallen from 78% in 1984 to 60% in 2014. However the true picture on self-sufficiency is almost certainly considerably worse as those numbers are based on the value of food produced and the study highlighted by The Times calculated the land needed to meet Britain’s total demand for crops. So even Margaret’s comments on the security of food supplies are as prescient now as they were when made by Margaret in 1975. As I mentioned at the start of my comments, I am quite sure that over the coming months there will be exhaustive and endless examination of the “transactional” costs and benefits of our membership of the European Union, but I would suggest that whether we wish to leave or remain, there is much more to consider here than simply transactional costs and benefits, and that it would be worth reflecting on the reasons why in the first place we joined the European Union.